Award-winning hotel with first class service. Located off I-40, nine miles from RDU International Airpot and strategically positioned near all major highways in Wake County. 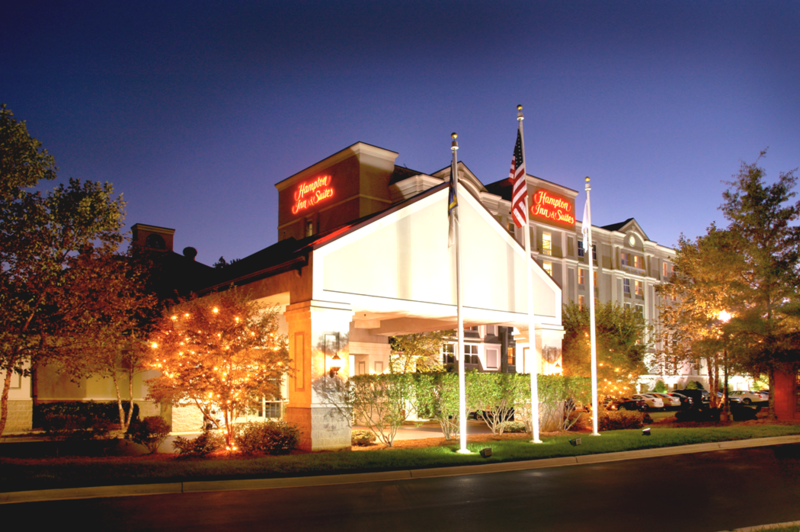 Relax and refresh at this welcoming hotel in Raleigh. Unwind in a comfortable guest room featuring a clean and fresh Hampton bed®, premium TV channels and free high-speed internet access. Wake up to Hampton's free hot breakfast before setting off for a day of business or sight-seeing. Stay in shape during your stay in the fitness center and outdoor pool. Keep in touch with work in the business center and get the job done with a range of helpful facilities. Host your next corporate event or social gathering in one of two versatile meeting rooms accommodating up to 50 guests.